A trendsetter with a touch of sparkle. The CITIZEN Chandler is clean and casual with a focus on every day wear. 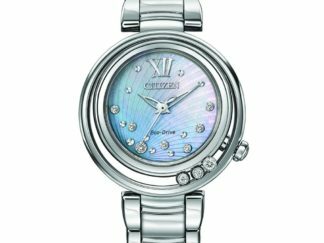 Highlighted with Swarovski® crystal hour markers and powered by light with Eco-Drive, this model features a stainless steel case and bracelet with brilliant silver-tone dial and date.